Redheaded Yao is a branch of Yao ethnic minority in south YunNan province. This tribe is symbolized by its vividly decorated redhead cover and the silver ornaments. 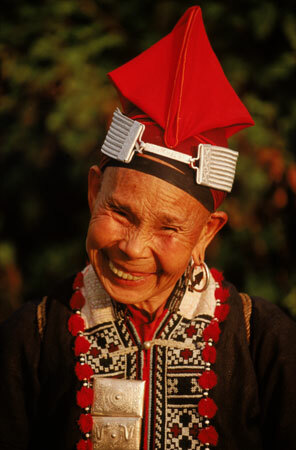 On the high winding mountain road, this Redheaded Yao villager was on her way down from a day of firewood cutting.